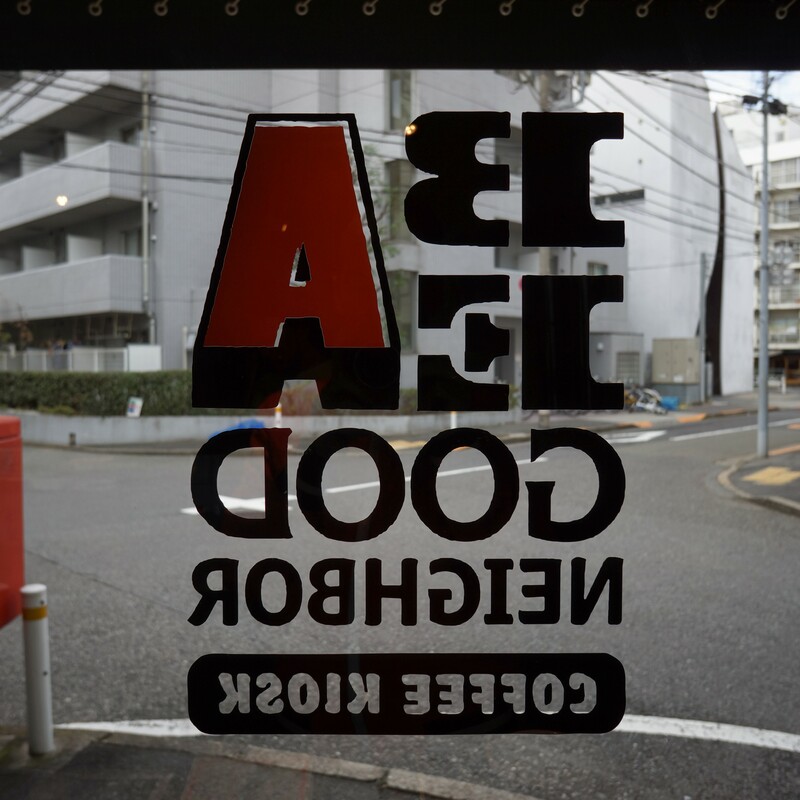 Quick summary: If you’re in Tokyo and you like coffee, you should really go to Be A Good Neighbor in Sendagaya near Harajuku. A cozy little kiosk with just a window counter, several different varieties of beans you can smell, moderately lightly roasted, and very friendly people. 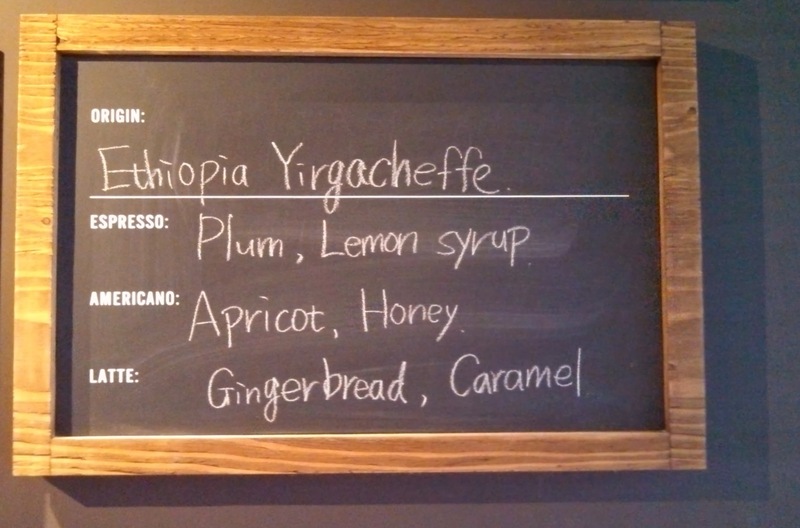 He asked what kind of flavors I like in my coffee and I said “citrus”, and he made me a great drip. 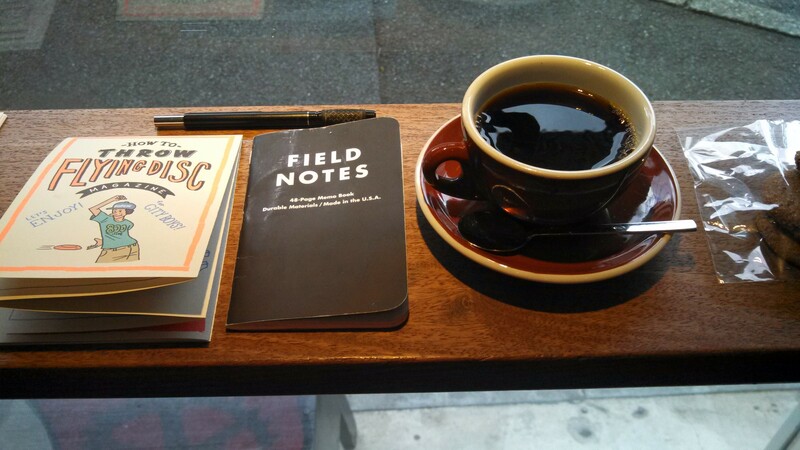 I noted the Dandelion Chocolate from San Francisco and then we talked about Four Barrel, they gave me a free pin, and suggested which other coffeehouses (third-wave and traditional Japanese) to visit. 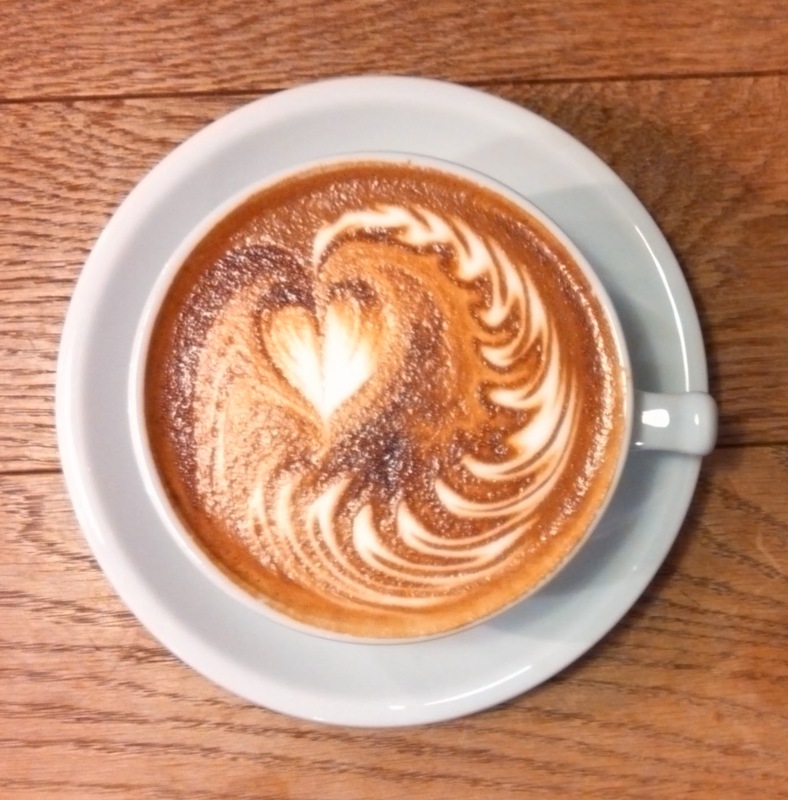 In other noted coffeehouses, the just-opened Nozy Coffee / The Roastery in central Harajuku. They served espresso in a champagne flute and had a large Probat and all their coffee signs in English. Quite good espresso but a strangely-designed space I didn’t like– it felt like someone half-assing the concept of “industrial chic” — some galvanized chain link fences, some wooden tables that were plywood, not much attention to detail. Streamers boasts a world champion(?) latte artist on staff. Nice designs but unfortunately bland drinks– I left mine half-full (though being on my forth coffee of the morning might have given me very high do-I-actually-want-to-drink-this standards). Seriously, though. Be A Good Neighbor. 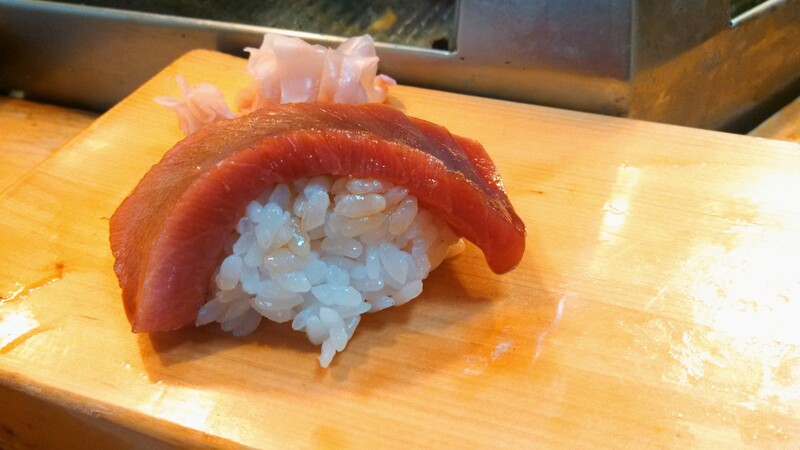 The morning of my flight home from Tokyo, I headed to Tsukiji market to find some delicious raw fish. Quick phone research on the train suggested Daiwa was very well regarded and known for their toro (fatty tuna), so I had a plan. Arriving, I saw a line into the street that folded back and forth on itself 8 times. 8. Looking back at the phone, my eyes caught the “only 11 seats at a counter… the wait can be two to three hours” bit I’d skimmed past. With a flight leaving in 5 hours, waiting, eating, and an hour or two on trains back to the hotel and then airport would be cutting it very close… and what if the wait were longer and I had to leave the line, hungry, at the last moment? A minute into this indecision, and probably only two after I’d arrived, the host poked his head out the door and said “we have one spot. anyone here alone?” The entire line of couples and groups looked down at their feet. I paused a beat, looked around, and slowly raised my hand… and before I knew it he was parting the crowd and whisking me inside, past stares and a few murmurs. The chef brusquely said “omakase”, and proceeded to slap down one piece of sushi at a time every few minutes for the next half hour. I snapped a few photos but otherwise focused on trying to make each bite of very good, fresh fish last as long as I could. Falling-apart-like-brisket toro (photo at the very top). 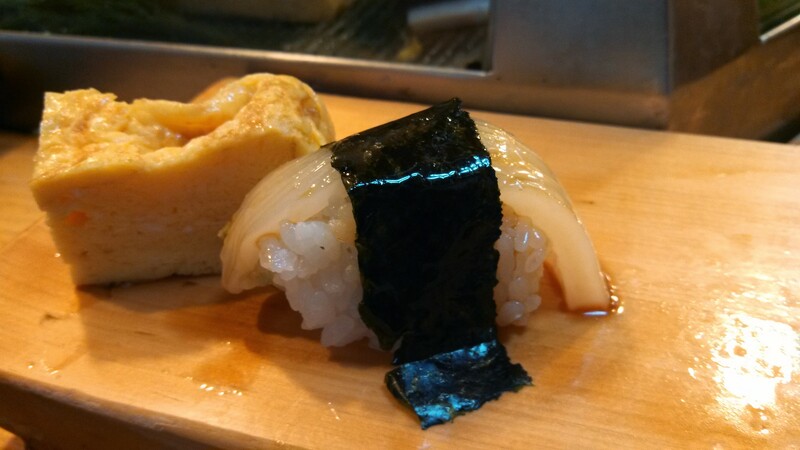 The best uni I’ve ever had (by a wide margin)– like a sweet ocean pudding, no brine at all. A warm fried shrimp head. 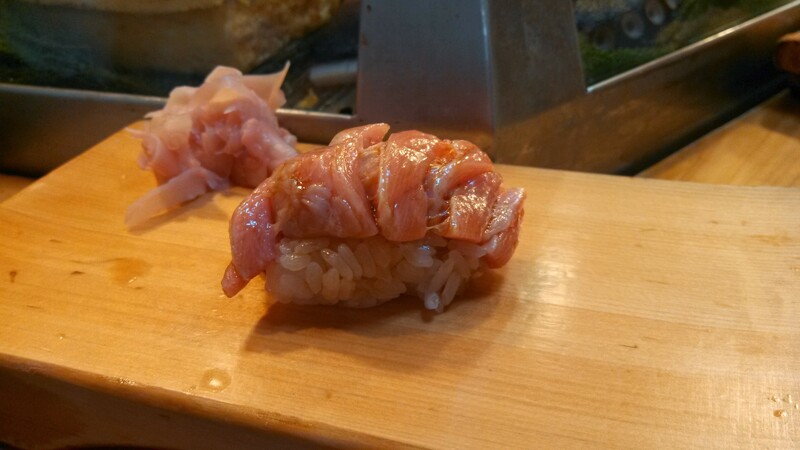 The chu-toro — what might have been a cut from inside to outside of the fish, varying from deep red to marbled fatty pink along its length. 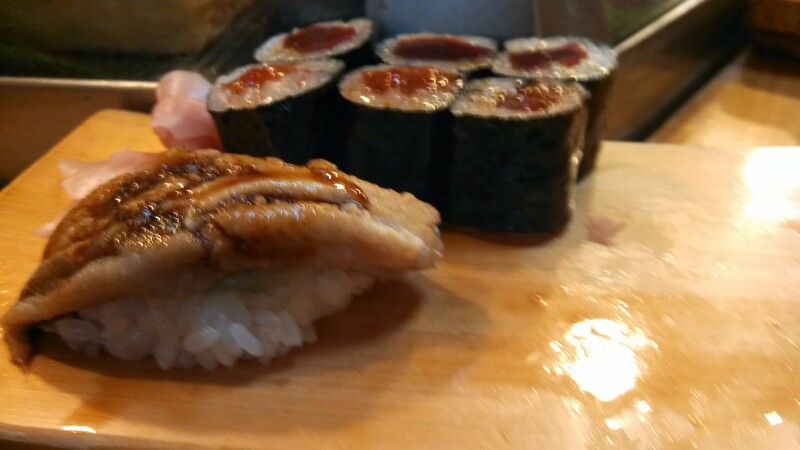 As well as ebi (sweet shrimp), tamago, hamachi, a maguro roll, ika (squid), hirame, tai, hotate, and anago (salt-water eel, vs. the more common fresh-water unagi). I didn’t even touch the soy sauce– each piece had a dot of wasabi under the fish and occasionally a light brushing of some sauce, and didn’t need anything else. 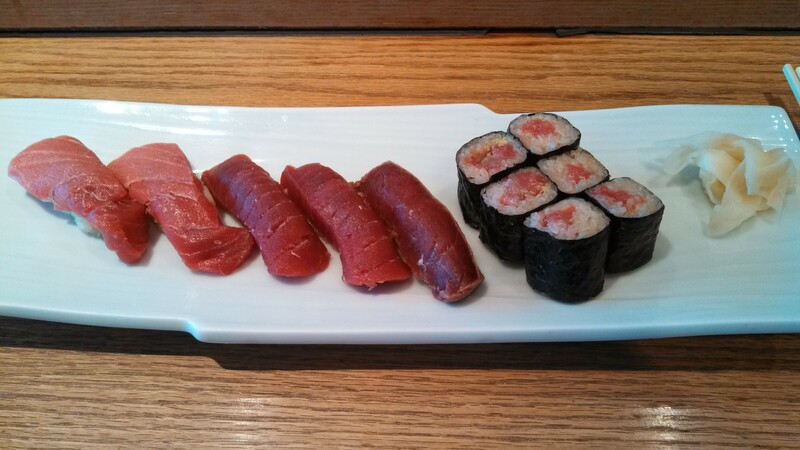 Definitely in my top 5 sushi experiences, and with no wait in line and a modest price ($35 plus a few extras?) hard to beat. 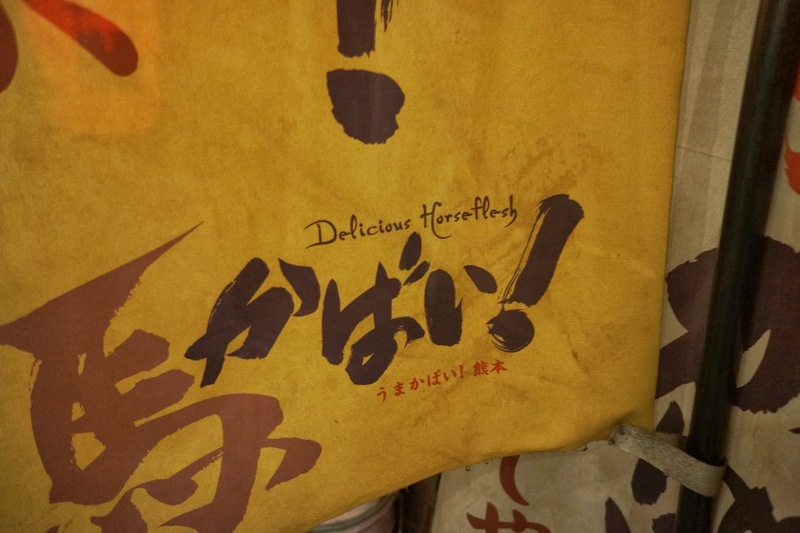 Striking a few ramen spots around Tokyo opportunistically on the first and last days of the trip (and at the end of the trip finding one amazing one whose name I still don’t know, in Southeastern Tokyo near the Daimon station). 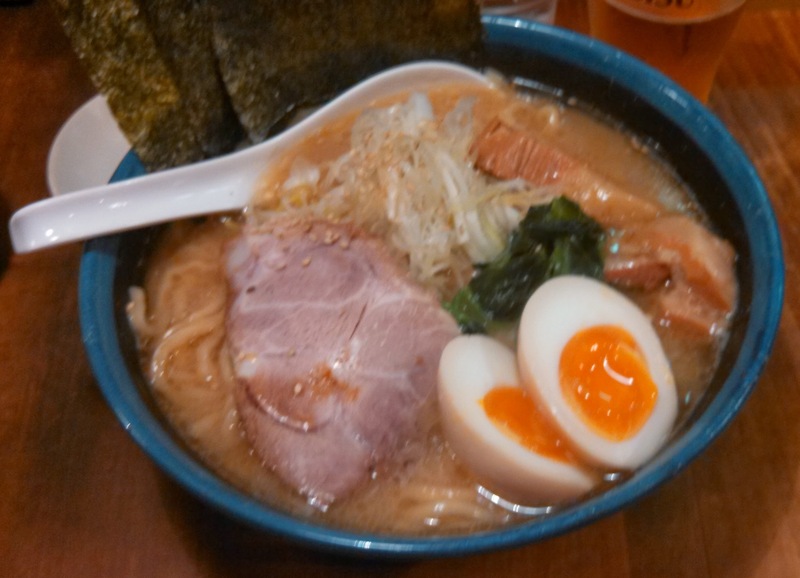 Many major train stations have a nearby food alley, and I heard Shinagawa station had a “ramen alley” Shinatatsu. After landing at Narita but before hopping a shinkansen to another part of Japan (Shinagawa’s conveniently one of the shinkansen connection points), I dragged my suitcase out the West exit and then South along a dark sidewalk. It felt like I was in the wrong place– an industrial sidewalk hugging the station wall, with no business or signs of life, and cars rushing by to my right. 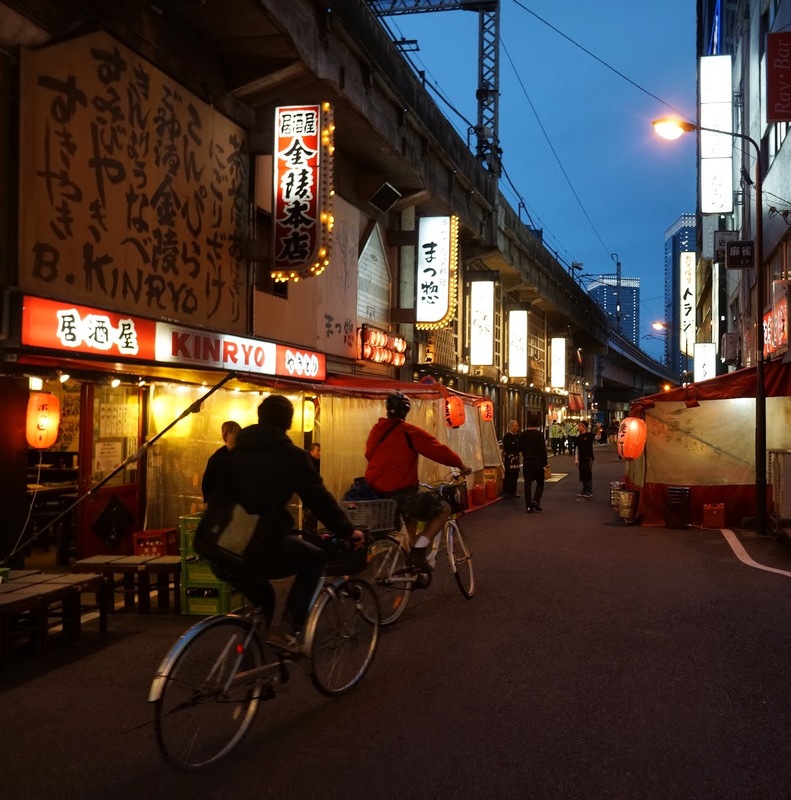 But just two blocks later, a glowing entrance beckoned me to step down to a wooden boardwalk below street level lined with 7 or 8 ramen shops. 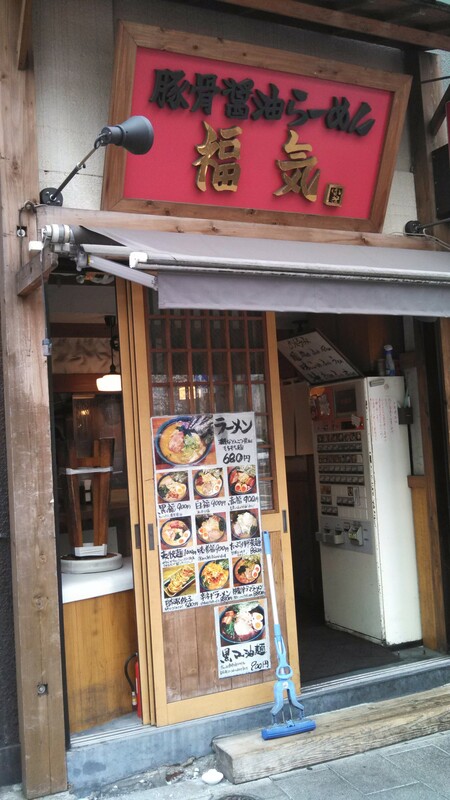 I squeezed my way into Tetsu, which I’d read about as one of the pioneers of the tsukemen ramen style. As at all ramen shops I’ve been to here, before you sit down you choose your ramen and toppings from a vending machine which prints out a ticket– you then hand that ticket to the waiter. Some of these vending machines also have photos of each dish on the buttons, but this one didn’t. Fortunately, even though I can’t read any kanji, I had brushed up on the two phoentic alphabets (there are various hiragana/katajana smartphone flash card apps these days, and with a week of study before the trip I had them reasonably well memorized– I recommend this as you can sound out a surprising number of street signs and menus this way– or at least keep a cheat sheet). 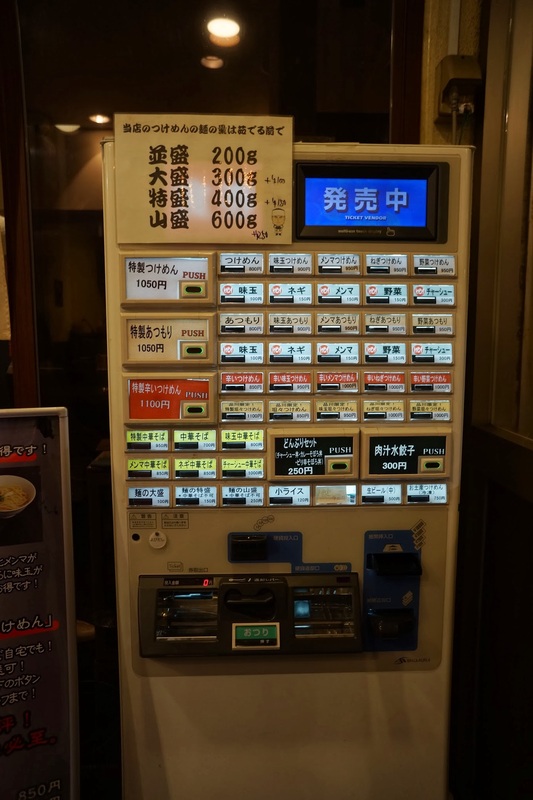 For example, the top left small button on the machine is all phoenetic and spells out Tsu-ke-me-n, and the button in row 4 column 3 spells out me-n-ma (bamboo shoots). Then the ramen arrived, and it was what I thought I’d ordered! Whew. 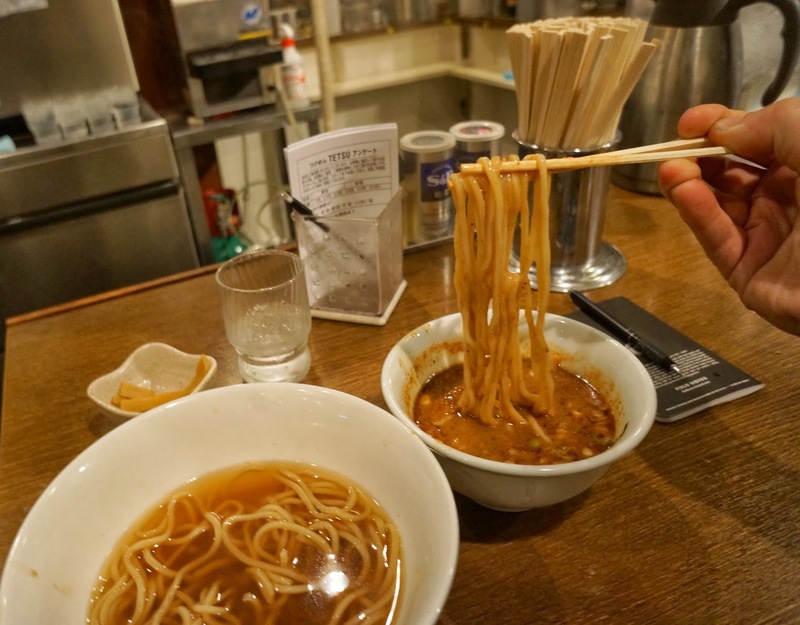 The tsukemen style is “dipping ramen” — you get a bowl of ramen in a plain broth along with a bowl of heated, strongly-flavored sauce, and you dip and eat. 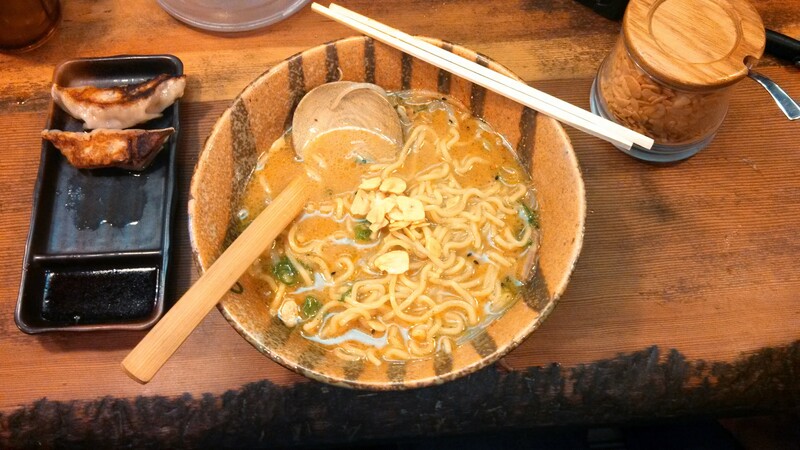 It was a rich, slightly oily, sweet, and nutty sauce, almost like a gravy, and a very different ramen experience. The noodles themselves were very good– springy and firm, and it hit the spot and transformed me from grumpy and low on sleep to relaxed and low on sleep (enough to at least make it through the few hours of additional travel), but overall it was too rich and not my favorite ramen style– it mirrors how I feel about deep dish pizza compared to thin-crust. At the end of the trip, a morning bowl of ramen. Decent, and a good deal at $6, but nothing special. And then, the last night in Tokyo with a friend, after not having a hotel lined up at 11pm and scrambling to find one, everything fell into place– and there was a ramen shop a block down the street that was amazingly good. I still think about it. 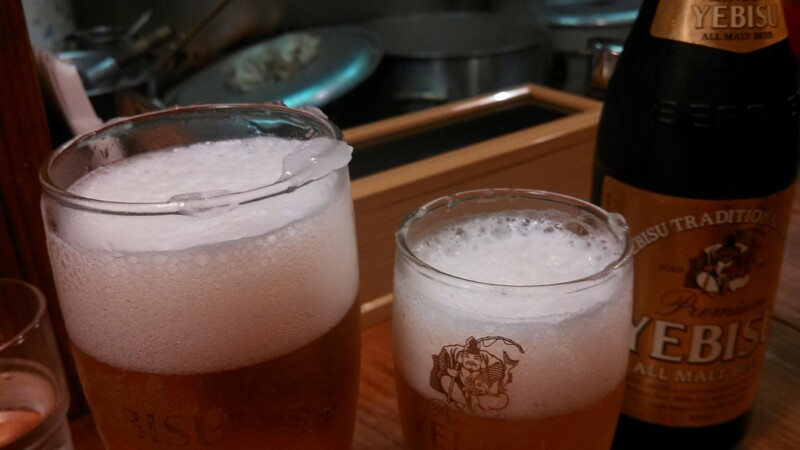 Watching the ramen be made was a production as well– the single fast-moving chef was pounding something(?) in a gigantic (floor-to-waist high) pot with a large wooden post, into a white paste he strained and ladeled into each bowl. He also had bowls of some oil, broth, onions, soft-cooked eggs, and sliced pork to arrange. The noodles themselves were boiling in individual wire strainers in a large pot– as time passed he broke off a piece of noodle from each batch, squeezed it between two fingers to check texture, then bit off the end. When he was satisfied, he’d lift the strainer out of the water and with a single, sharp flinging motion down– sluice the water out onto the floor behind the bar. The whole time he made minimal eye contact but had a sly sliver of a smile on his lips as if he had his own private joke. The noodles were so springy in texture, the soft eggs were like a rich pudding, and the broth was creamy (presumably a pork tonkotsu broth, not a salt/soy/miso broth) but with modest flavors beautifully in balance– like tuning in and out distance conversations, at any moment I could taste savory, salt, richness, or meat, with no individual flavor being especially strong (well, except for the bite of the green onions). And all of this for $8.50. With beer glasses so chilled there are chunks of ice on the rim. 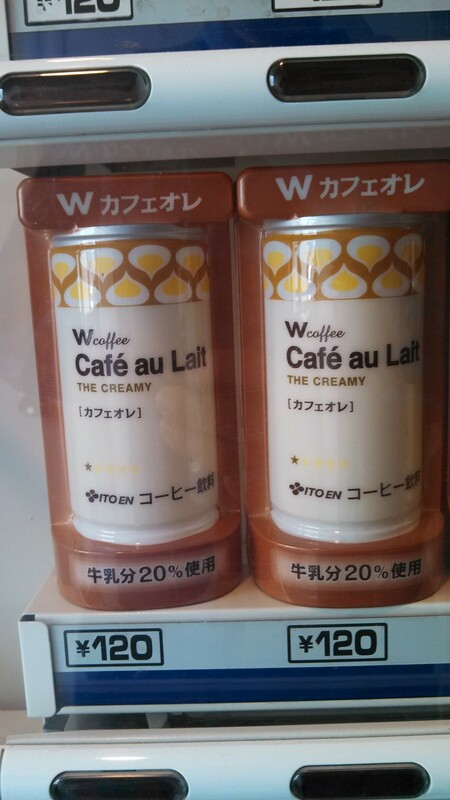 Japan does make me more open to crisp, light lagers. 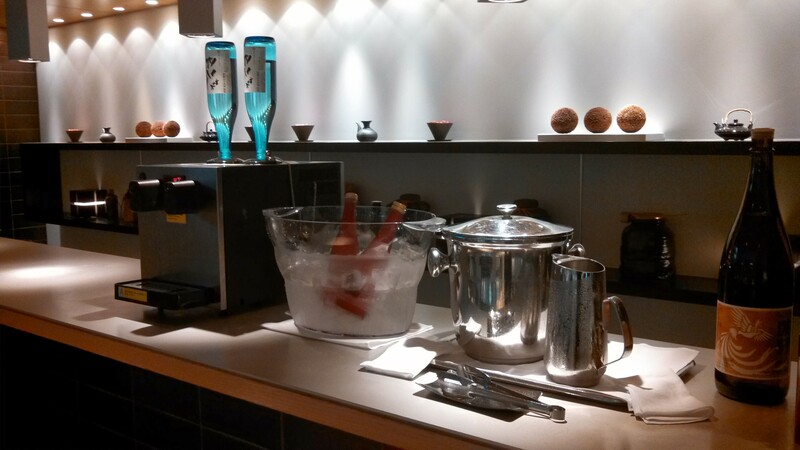 And, if you’re (un)fortunate to fly enough to have gold status on some airline in Star Alliance (United, etc), that also gives you complimentary access to the ANA lounge, which has light snacks and a serve-yourself range of sakes you can taste. 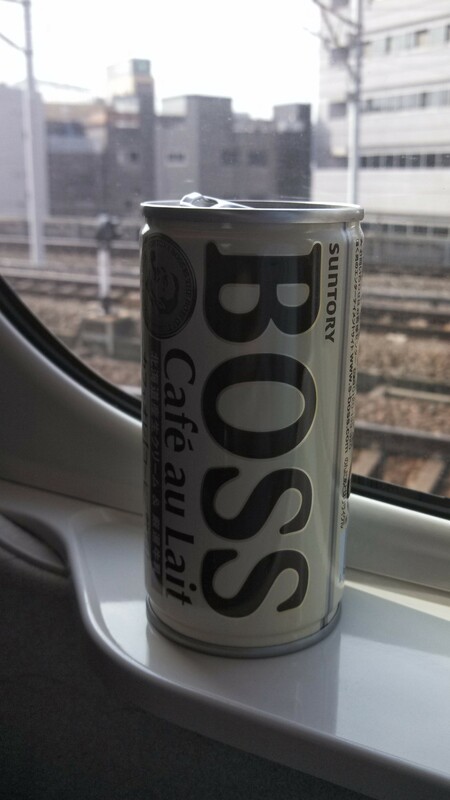 I was in Japan recently. 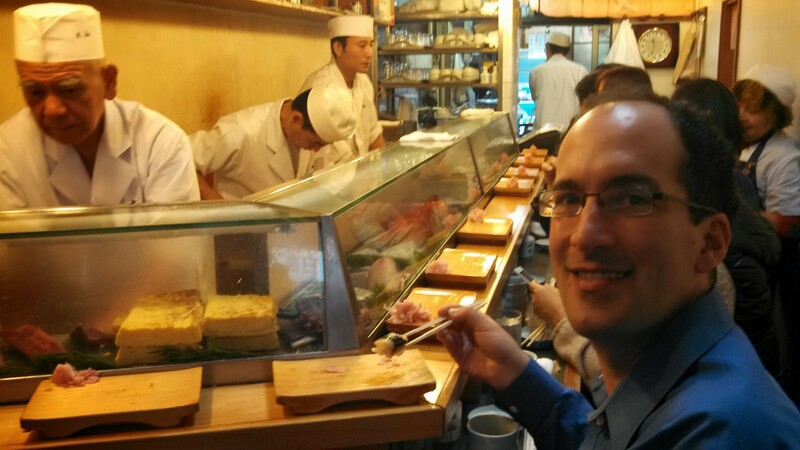 I didn’t go in with a food plan or have much time to explore, but still had some great, mostly-cheap eats. 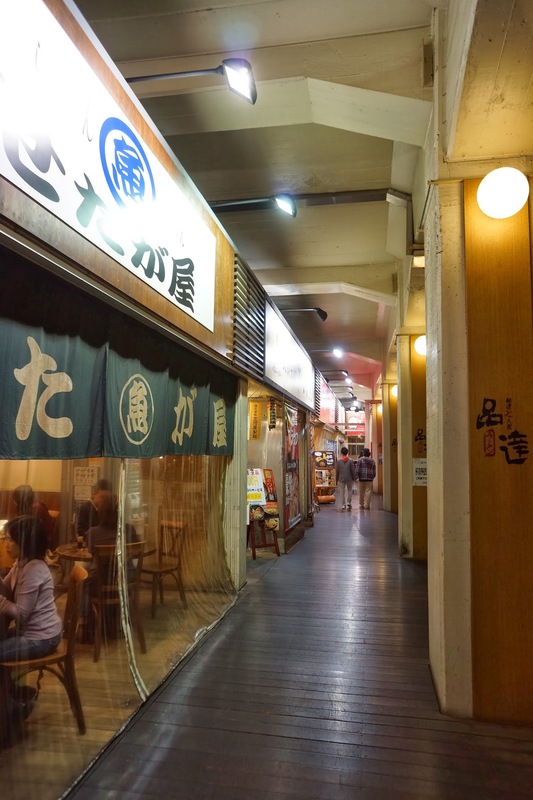 But instead ended up at the most populated-with-locals, boisterous yakitori joint (I figure that’s always a good sign), in a brick-lined alley underneath the tracks themselves, with waves of fragrant meat smoke billowing out. 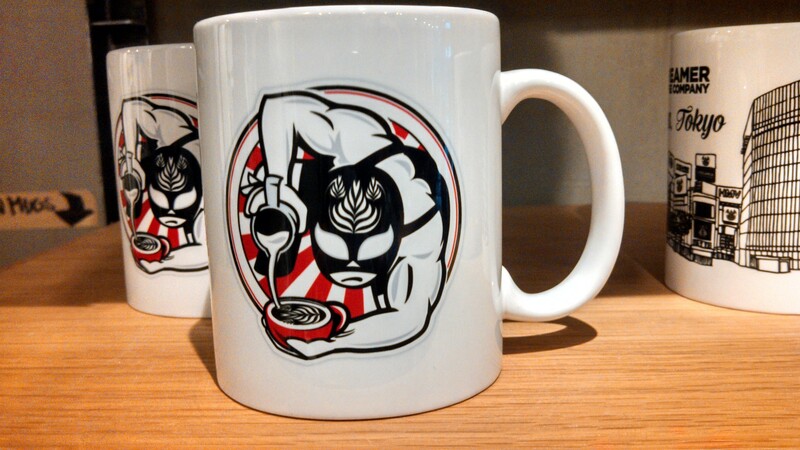 I didn’t see a name, but from a stranger’s blog that shows the same menu it looks like it was Tonton. 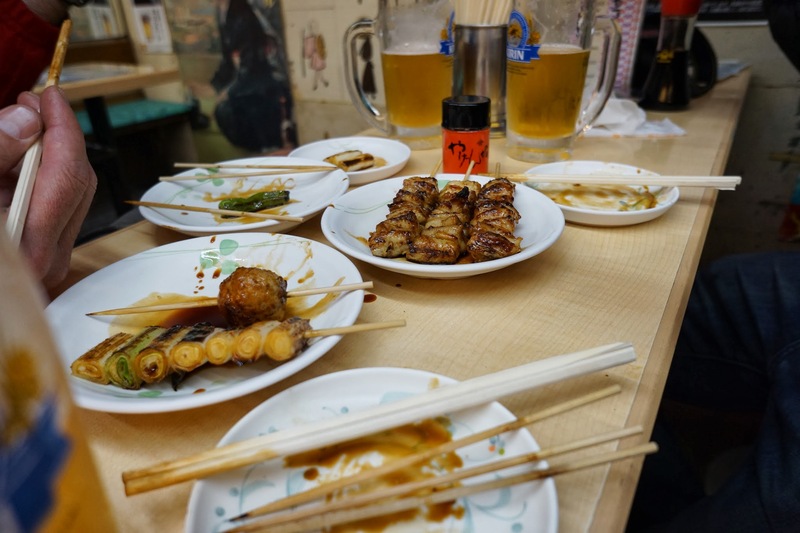 We ordered round after round of chicken thigh, leeks, shishito peppers, tsukune (chicken meatballs), pork, pig hearts, chicken skin, even tongue, and all for only $25/person ($14/person not counting the beer).